2015 Sukkot Teaching by Elder Jason Jordan. The Creator of the Universe wanted mankind to experience His nearness from of old. 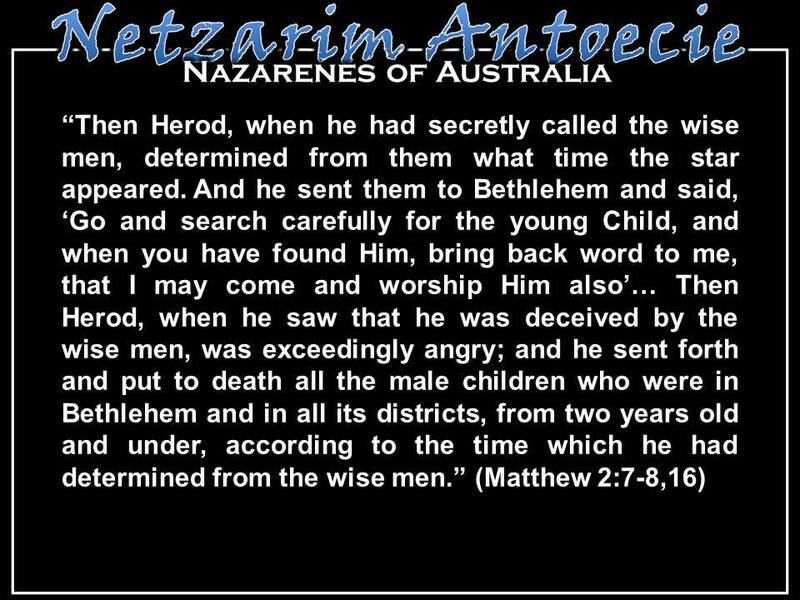 Not all of us had the benefit of living in the time of Yahshua, let alone being near the regions where he ministered. 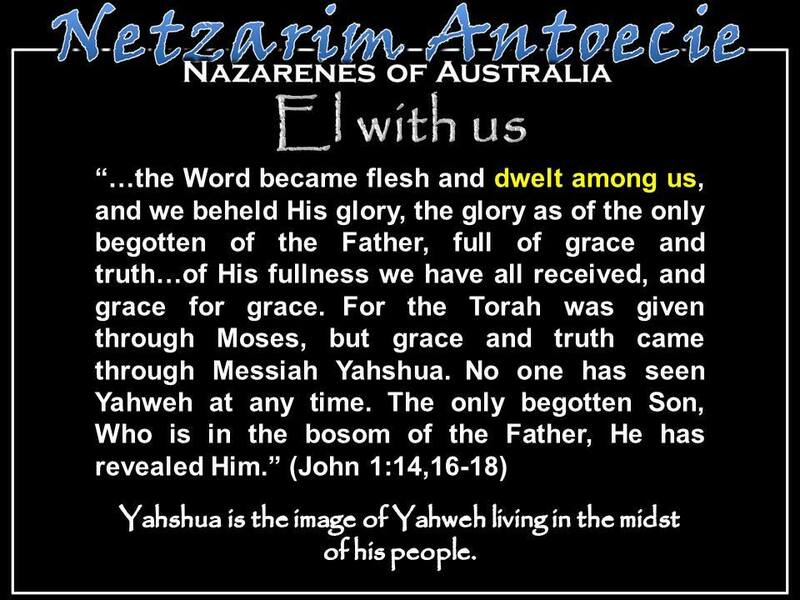 There have been countless trillions of people who lived before Yahshua and countless trillions who have lived after him. Not to mention those who lived in his time and never saw him. 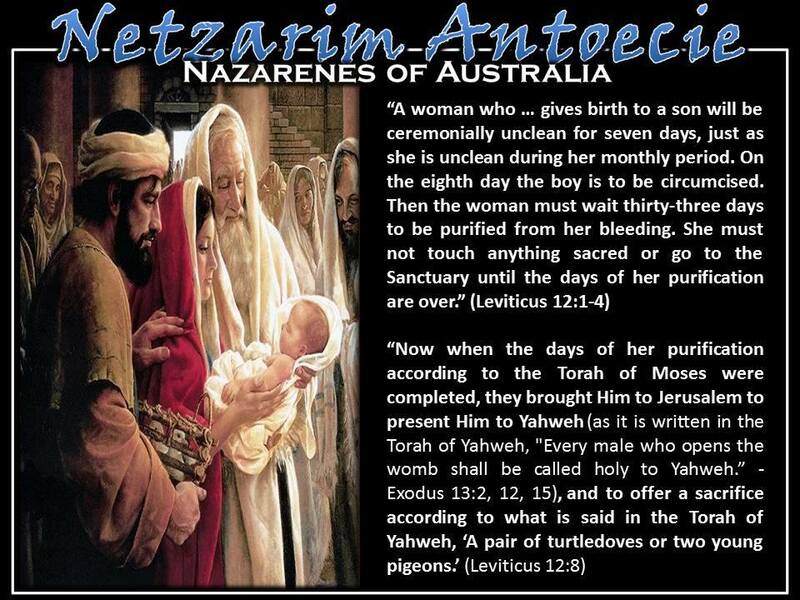 So Yahweh created a time stance for every age so that all men might be able to be near. The pattern to draw near was initially made known after the fall, but it was gradually forgotten, and not until the arrival of Avraham did it revive. The Book of Jubilees, composed about 130 B.C.E., claims that Sukkkot was celebrated long before the codification of the Torah and that Avraham was the founder of the custom of the Festival of Sukkot: When he came to live in Beersheba he set up his tents and instituted a ceremony which centred round these tents; he erected an Altar and made circuits around it accompanied by prayer: “And Abraham built Sukkot for himself and his servants in the seventh month, and he was the first to celebrate the festival of Sukkot in the Holy Land.” (Book of Jubilees 16.26) Avraham’s relationship with Yahweh was so intimate that he could look forward and see various Torah observances before their codification at Mount Sinai. Though he may not have understood them with our 20/20 hindsight, he observed them non-the-less. 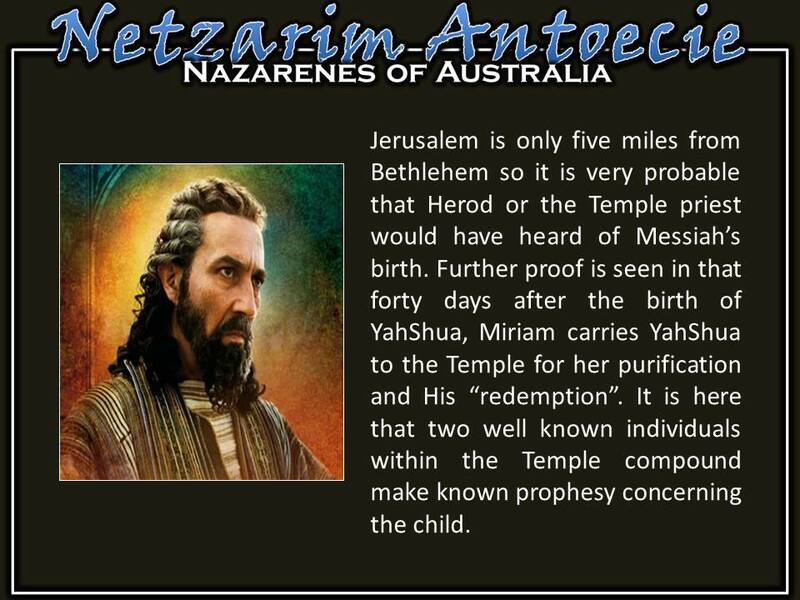 There is also an ancient legend based on Genesis 33:16-17 “So that day Esau started on his way back to Seir (goat). Ya’akov, however, went to Sukkoth, where he built a place for himself and made shelters for his livestock. That is why the place is called Sukkoth.” In this legend Esau represents sin and temptation and Seir stands for the Day of Atonement. When Seir, i.e. 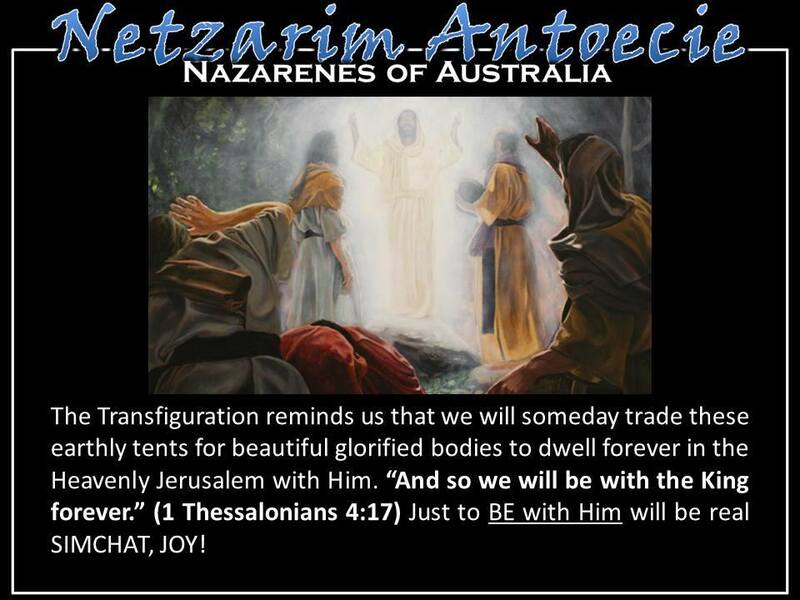 the Day of Atonement, departed, Jacob came to the Sukkah. This is the origin of the custom of beginning the building of the Sukkah soon after the termination of Kippur. 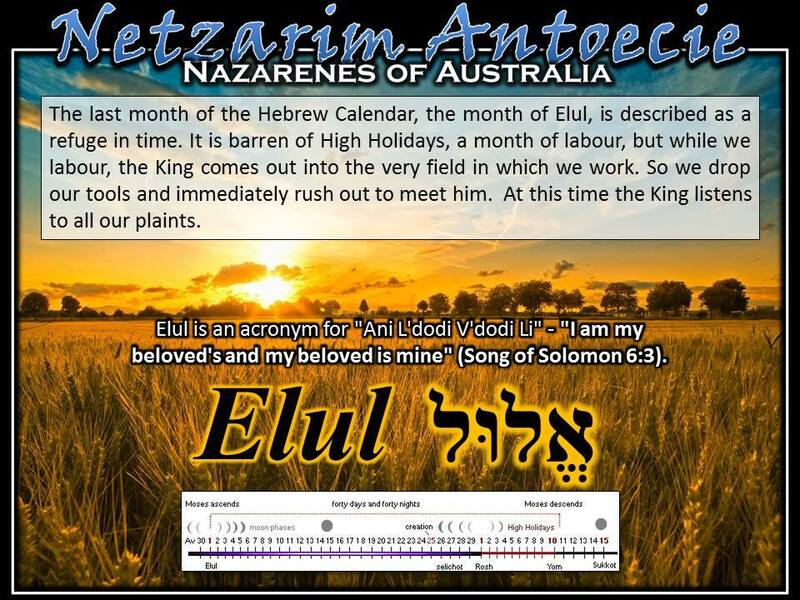 There is also a Midrash which tells us that Ya’akov not only observed Sukkot but also added Shemini Atzereth (eighth day of assembly). 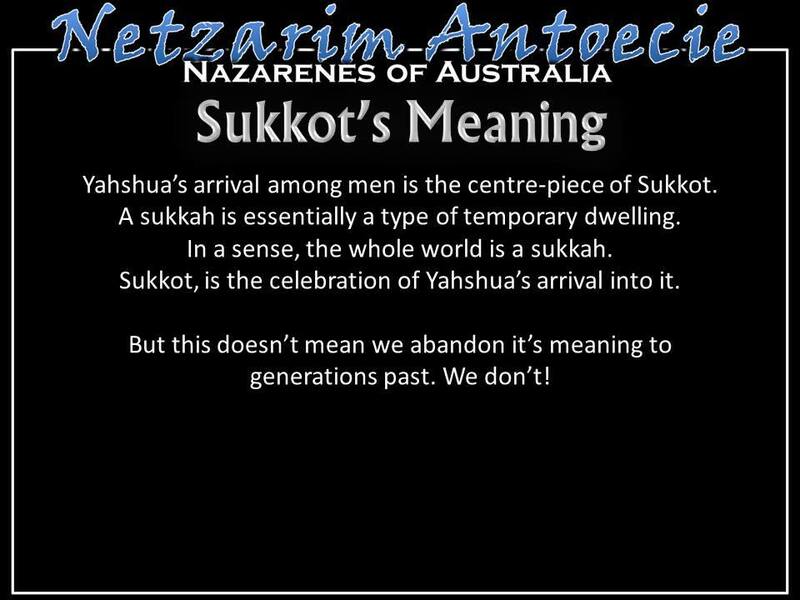 Yahshua’s arrival among men is the centre-piece of Sukkot. A sukkah is essentially a type of temporary dwelling. In a sense, the whole world is a sukkah. 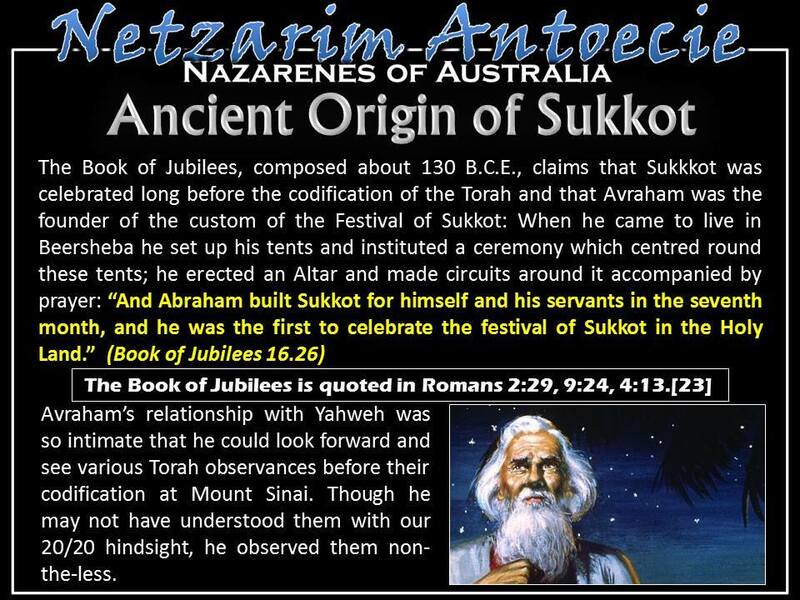 Sukkot, is the celebration of Yahshua’s arrival into it. But this doesn’t mean we abandon it’s meaning to generations past. We don’t! The term “sukkot” is a Hebrew word that essentially means “temporal dwelling places.” Contrary to popular belief, it doesn’t mean tent. The Hebrew word for tent is אוהל ohel and is commonly referred to as a structure built over a grave to mark respect for the deceased. 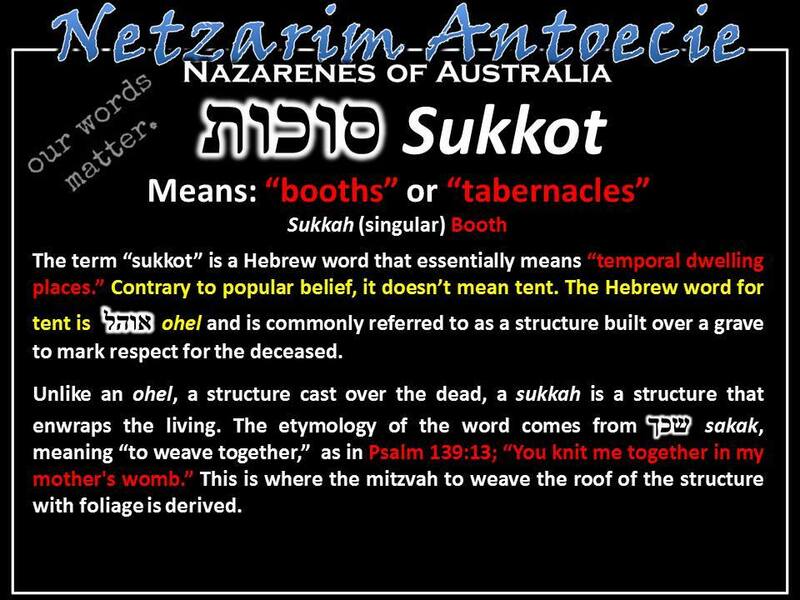 Unlike an ohel, a structure cast over the dead, a sukkah is a structure that enwraps the living. The etymology of the word comes from שכךsakak, meaning “to weave together,” as in Psalm 139:13; “You knit me together in my mother's womb.” This is where the mitzvah to weave the roof of the structure with foliage is derived. The sukkah reminds us of the ananei ha-kavod (clouds of glory) that surrounded Israel during their wilderness wanderings. It is said that Israel were protected by seven clouds. Elohim gave to [Abraham's] children seven clouds of glory in the desert, one to their right, and one to their left, one before them, and one after them, and one above their heads, and one as the Shekhinah that was in their midst. And the pillar of cloud would precede them, killing snakes and scorpions, burning brush, thorns and bramble, levelling hillocks and raising low places, and making a straight path for them, a straight continuing highway, as it is said, “The ark of the covenant of the Lord travelled in front of them...and the Eternal's cloud kept above them by day... Numbers 10:33-34.”( Sotah 4:2). The six directions that we wave the Four Species in plus our origin point, making seven, also harks back to the seven clouds of glory. 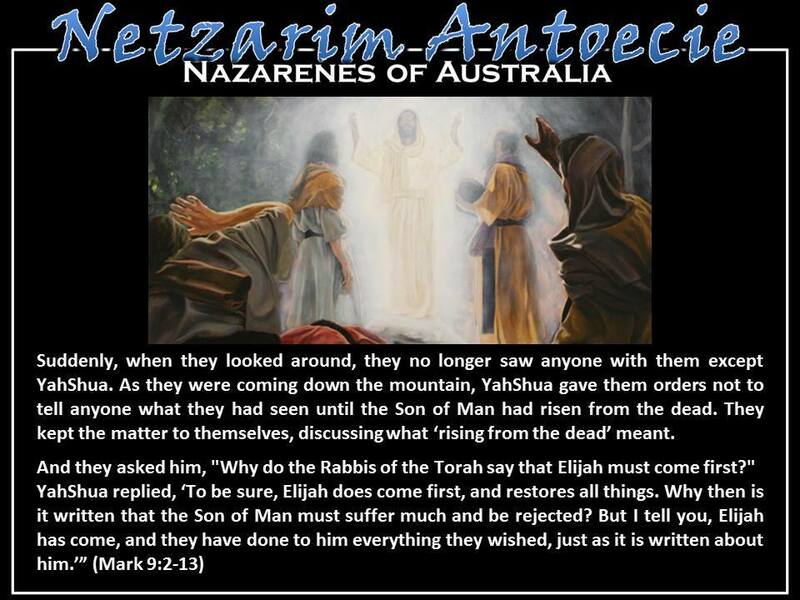 How is Yahshua the centre piece of Sukkot? 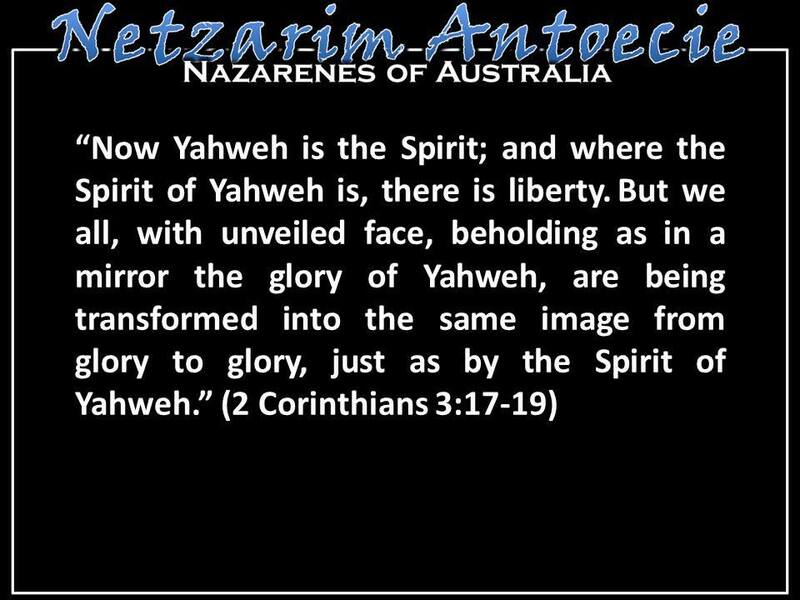 Yahshua is the image of Yahweh living in the midst of his people.